Mid-Autumn Festival, one of China's traditional festivals，is celebrated on August 15th every Chinese Lunar Year. Since August is the second month in autumn, this festival is known as the Mid-Autumn Festival in ancient times. Mid-Autumn Festival tradition dates back to the Tang Dynasty, it became popular in the Song Dynasty and became one of the major festivals as important as Chinese New Year in the Ming and Qing Dynasties. Influenced by Chinese culture, the overseas Chinese in East Asia and some Southeast Asian countries view Mid-Autumn Festival as their traditional celebration. Since 2008, Mid-Autumn Festival is listed as national holidays. May 20, 2006, the State Council of PRC included Mid-Autumn in the first batch of national intangible cultural heritage. There are numerous customs related to this well-know festival. Mostly and commonly, Chinese people worship the moon, have a big feast along with mooncakes, enjoy the view of sweet-scented Osmanthus, and maybe drink some Osmanthus taste wine. All these old customs are widely spread and passed along generations. Nothing like the round and impeccable moon that evokes the thoughts of homesick, the hope of good harvest and the endless happiness in life. Now we can understand how it became one of the precious cultural heritages in China. Nowadays, Mid-Autumn Festival, Dragon Boat Festival, Spring Festival and Qingming Festival are known as China's four most important traditional festivals. There’s an age-old verse in the famous poem Moon in the Autumn: Look up in the sky, share the beautiful view of full moon with everyone, and hope the moon light shine the one you are missing. Back to the Tang Dynasty where people had a leisure lifestyle, poets worshipped the moon and wrote lots of famous poems as ode to the moon. 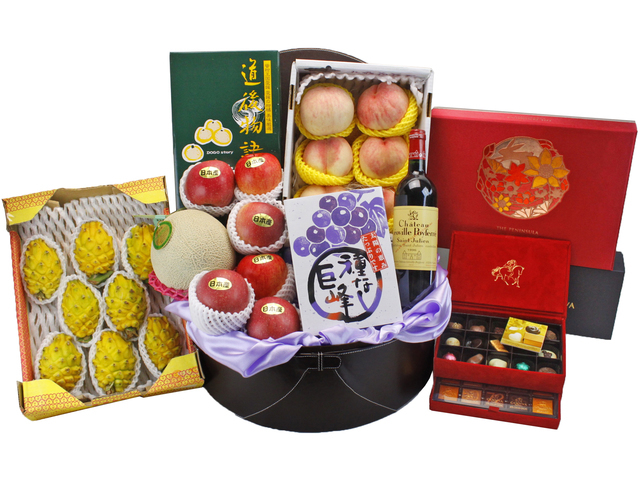 All these activities slowly developed into the original Mid-Autumn Festival. Mid-Autumn Festival has been officially celebrated on August 15th since Northern Song Dynasty, from then on, mooncake has become the traditional food as the ancient adages goes ‘A bite on the moonlike dessert stuffed with sweet brings happiness to life’. Activities of admiring the moon during the two Dynasties have become more and more popular. People make it a habit to worship the moon with offerings in round shape towards the direction of the moonrise. Mid-Autumn Festival was legitimated as a statutory holiday in 2008. If it happens to coincide with Saturday or Sunday, a compensatory time off on Monday would be granted. There’s a famous legend about a beautiful goddess called Chang’e, the wife of the God of Archer named Hou Yi. One day, the Elixir of Life was given to Hou Yi as a reward by the Chinese Heavenly Queen Mother. Since then Chang’e make it her mission to protect this immortal food from being stolen by the notorious “Pang Meng” who has been desiring for the treasure for a long time. To frustrate his scheme, Chang’e had no choice but to take the elixir of life herself. Consequently she could not help but become weightless, left alone in the isolated Moon Palace. Hou Yi felt so depressed and missed his wife deeply. Therefore, every year on 15th August, when the moon is in its full size, he commemorates his wife by putting on a big feast on earth. The legendary Chinese woodcutter god-Wu Gang, committed a crime and was punished to cut down all the cassia trees in the Moon Palace. Sadly, no matter how many times he had the trees cut down, the trees just revived again in no time, that makes all his efforts in vain. This is definitely a lifelong punishment for Wu Gang. Once upon a time, there was an angel who made immortal herbs in the heaven and mistakenly gave them to the earthly people. Because of human imperfection, the King in heaven decided to use animal to take over this job. Sometimes we can see a hare-shape shadow on the moon surface and the scene of a rabbit living in the desolate Moon Palace pounding herbal medicine of immortality. In the old days, Mid-Autumn Festival would not be called a festival without children hanging around with friends with a lantern. Lanterns in these days can be much more multifunctional and varied. Back to the 50s, a delicate paper lantern painted with traditional elements was once the luxury not every child can get their hands on. Rather than asking their parents for an expensive plaything, most kids prefer to make their own lantern skillfully by collecting waste and turn it into useful materials. That's how the lantern was made in the old-fashion ways in Hong Kong history. 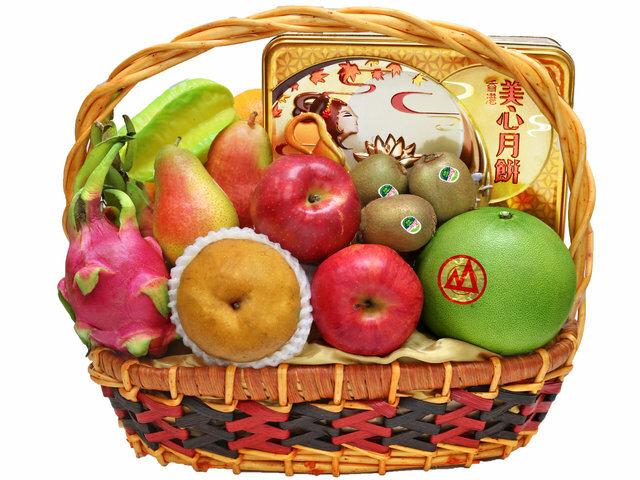 On Mid-Autumn Festival night, mooncake is the must-have item, apart from that, pomelos are one of the essential fruits on the table. Chinese people see pomelos as a symbol of reunion with loved ones, and this healthy fruit can help with digestion after the oily mooncake and the holiday feast as well. Pomelos are not only delicious but their peels also useful to make a special lantern. With a few patterns that you like to carve on it, put nice candles inside, attach the string on top of it, somehow a personalized featured lantern is complete. During times of necessities shortage in Hong Kong, plaything is one of the hardest things to get, but kids those days still managed to have a happy childhood. They tried to come up with creative ideas to make their own toys, the revolving scenic lantern is one good example. It looks almost the same as regular lantern, though it achieve much more than it looks. The secret lies in the eddy-like air window attached on top. It forces the hot air spinning their way out of the hole in one direction, therefore creating energy to drive the lantern constantly spinning as well. With a few paper cuts stuck to the axis near the candle. At last, you can find the reflection of the shade vividly running through the lantern. Also, you can imagine the astonished look in people’s face and along with streams of admiration. Wax burning was a local tradition, literally known as lighting a mooncake tin full of wax on fire and watching it burn. Forbidden years ago, this risky activity can cause injury and spread dirty wax stains on the floor which is difficult to clean. As playing lanterns in Mid-Autumn Festival, was burning draws people together to celebrate the exciting moment of fire flame. Like bonfire, it was challenged by the new culture, the fire is put out along with the old custom. Most youth nowadays get hooked on their mobile phones and miss out on all these fun from the past. Still, Hong Kong people have every reason to believe that the spirit of below the Lion Rock will not be gone but live on by exploring the whole new cultural symbol. If you want to enjoy wide and beautiful views during Mid-autumn Festival, the best choice is the Peak. The Peak Tower is a good spot for you to enjoy the view, or the free Sky Terrace 428 opened for the public. At the peak, you can not only see the natural environment of Hong Kong, but also different skyscrapers featuring Hong Kong specialist. Normally the Peak is full of tourists, couples and families, Mid-autumn Festival is no exception. Therefore, come and take a good seat quickly. Situated in Ma On Shan Country Park, the Kowloon Peak with 602 m (1,975 ft) tall mountain would make a perfect spot for moon observation. Each year, Hong Kong citizens and tourists from around the world flood to the mountain top to have a panoramic view of the whole Kowloon Peninsula. All thanks to the magnificent mansions, the spectacular view and the rarely found fresh air in the big city, today, Kowloon Peak has become a filming destination for the photographers and a suitable location to enjoy the Mid-Autumn Festival moon. Besides, the peaceful Kowloon Peak is also a good place to stay away from all the busyness and noise in the city, hikers and people who want to get closer to the nature will find it an ideal spot. Don’t forget to bring the lighting appliances with you if you climb the mountains at night, and thoughts should be given when the weather is bad. As amazing as all the mountain top views, rooftop bar is quite a special choice in trend. Tired of all the exhausted mountain climbing? How about having a wonderful view at the top of a fancy hotel? Most hotels in Hong Kong have open space recreation facilities for guests which normally located in the 20th to 30th floors. Guests can relax in the swimming pool while enjoying some good views of Victoria Harbour. What’s more, having some drinks in the rooftop bar with fresh air and the charming moonlight is a unique experience of all kind. Mountain climbing and the fancy hotel trip are a bit too overwhelming for you? Don’t worry, a simple homey party may suit your need. To throw a nice party in your own place is more relaxing, and being with families and friends is what matters in a festival. Cuddle with the loved ones and share this intimacy in your very own terrace/balcony under the moonlight must be the most romantic thing to do in the festival. To enjoy the beautiful full moon, you don’t necessarily have to go all the way up. Sometimes going down to the beach is also a really good choice, especially in the evenings. You can enjoy the breeze blowing through your face while walking along the seaside. Furthermore, at 8 o’clock every night, the Guinness World Records rewarded light show-A Symphony of Lights, is performed in Tsim Sha Tsui waterfront outside the Hong Kong Cultural Centre. Good company and good view by the seaside, what’s more enjoyable than that in the world? Though most recommended places for Mid-Autumn Festival celebration are best at night, there is a relaxing place for you to spend the day and feel the festive atmosphere, that is, the public greenery on Hong Kong Island -Victoria Park. Every year, the biggest CNY Flower Market is held in Victoria Park. During Mid-Autumn Festival, the Lantern Carnivals exhibits light decorations featuring Hong Kong, free admission is granted to all people so that everyone can enjoy it. Bring your picnic, sit on the beautiful grass with your friends and families, and to appreciate the wonder of the nature-the moon. These are all wonderful resorts for moon observation. Peninsula Hotel Famous for its custard mooncakes, Hong Kong Peninsula Hotel surely makes its mooncakes a hit in Mid-Autumn Festival. They mainly come from two ways: the first one is from the Peninsula Hotel Boutique for sales in Hong Kong and abroad; the second one is from their Spring Moon Chinese restaurant. Mandarin Oriental Having a sign of the classic orient fan unfolded pressed into the soft dough, Mandarin Oriental Hotel really is one of the most typical local producers having the oriental features on the mooncake. This legacy dates back to year 1800. 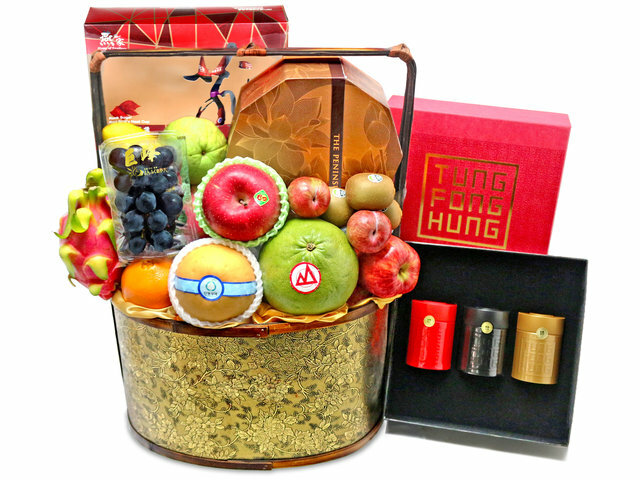 W hotel As a modern brand, W hotel put into a lot of efforts innovating new ways of making mooncakes, just to bring you a nice surprise on Mid-Autumn Day. Modern elements are added to traditional mode, we have flavors that you won’t find elsewhere, like coffee, matcha and even fruity flavors. Maxim In addition to the regular double yolks and white Lotus Seed paste flavor mooncakes, Maxim launch their series of other creative products in recent years, for example, the Snowy Mooncake , the cartoon character mooncake, the stars collection and the low on sugar mooncake. Spring Moon Spring Moon mooncake is pretty salable beyond your expectation. It’s once sold out of stock in one day for the record last year. 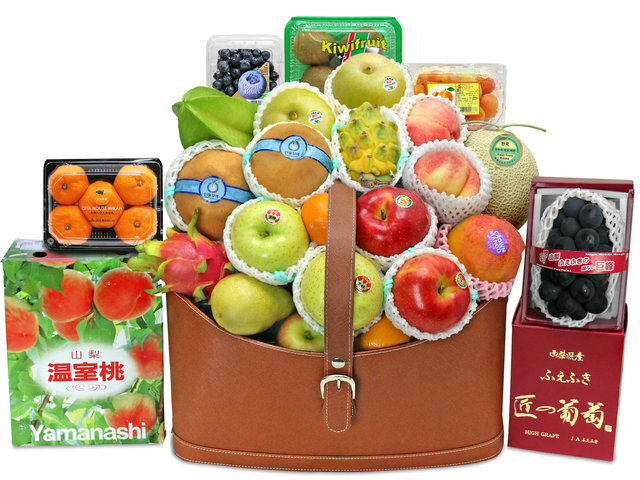 Without a doubt, Spring Moon this year has increased the stocking up to a few hundred thousand to satisfy the growing demand of Hong Kong customers. Kee Wah Established in 1938, Kee Wah is a well-known local brand with 70 years of history. With many years experience, Kee Wah Mooncake today has become one of the most famous mooncake brands as well as the representative of Made in Hong Kong good quality products. Living in the highly modernized city, we can’t help but to find that the traditions are fading away. Originated from farming culture, Chinese traditions seem to have a close connection with food. We have dumpling balls for Lantern Festival, Zongzi for Dragon Boat Festival and mooncakes for Mid-Autumn Festival. With the development of the society, materialism shadowed over the traditional culture which challenges our inheritance of cultural heritage. Kong people now start to think about what it means to have traditional festivals in the fast changing modern society. Traditional culture is not out of date, instead, it’s a respectful spirit in accordance with modern values. Mid-Autumn Festival is around the corner, let’s review some meaningful concepts of this festival. As for most Chinese people, Mid-Autumn Festival means reunion and happiness. In other words, harmony. Ancient Chinese have always been emphasizing on the harmoniousness between men and nature or between men and men. Co-existence with the nature: Festival is a good time to throw yourself into nature’s arm. For instance, we go out for a walk on Tomb-sweeping Day, we have a dragon-boat race on Dragon Boat Festival, we climb on the high mountains on Chung Yeung Festival and we observe the stars at Mid-Autumn Festival night. Human being is part of the nature, we receive endless beauty from this wonder and we should do our best to love it and respect it. Be friendly with people: Mid-Autumn Festival on the other hand, enhance interpersonal relationship and group cohesion. The force that drives the whole society forward is collaboration and endeavor, nothing could ever happen if we don’t unite as one and hold on to the spirit of respecting and caring for each other. Mid-Autumn says nothing more than that. Regardless of which role you play in the society, every member of family or different races should find a way to help build a better world. AppleWhether you are a child or an adult, you must have heard the saying “An apple a day keeps the doctor away”. 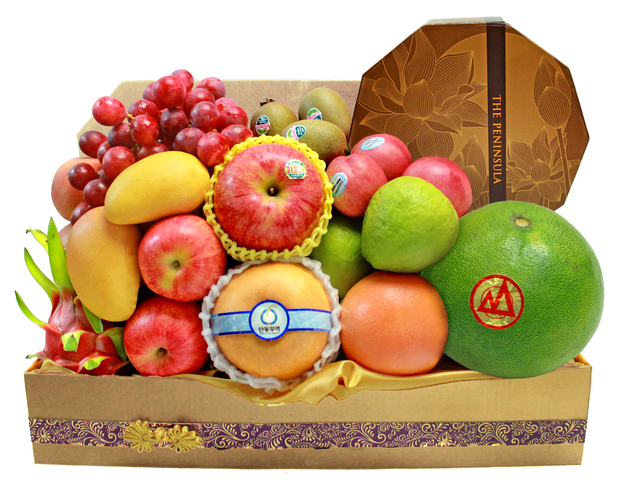 Apple is an internationally acknowledged choice of healthy food, it is even more suitable during Mid-Autumn Festival. At that time, mooncake has almost become the daily desert-a bit oily for your stomach, so apple is a great fruit to reduce the oily feeling and help with our digestive system according to traditional Chinese doctors. Apple is also full of vitamin C and has incredible antioxidant function. 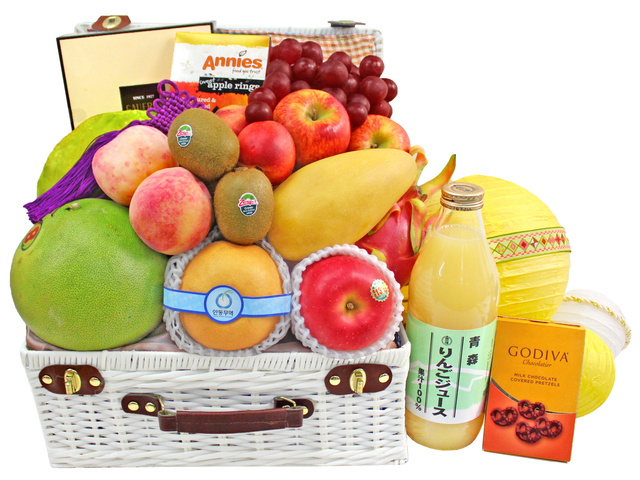 Japanese apples are popular in Hong Kong, a festival fruit hamper will satisfy the need of the whole family. 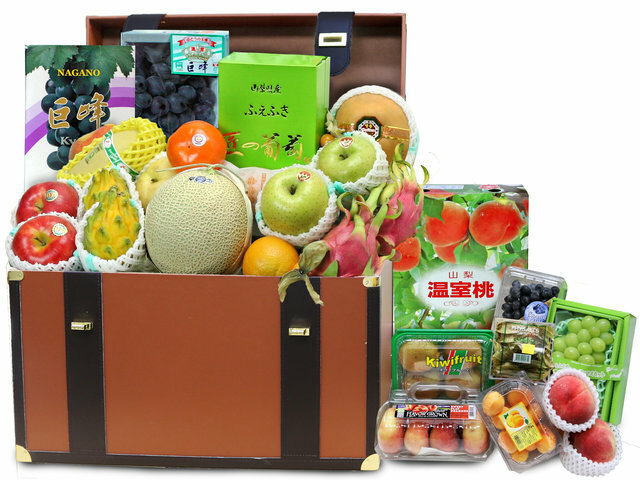 Honeydrew MelonSpeaking of seasonal fruits expert, you cannot miss the Yau Ma Tei Wholesale Fruit Market in Hong Kong. 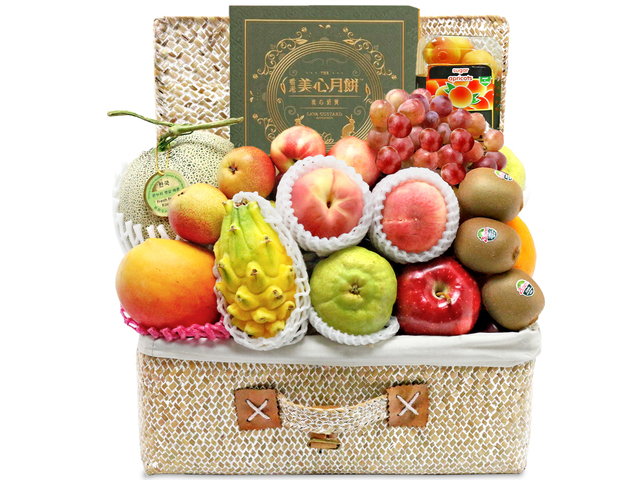 There, you can find the juicy and high sweetness honeydew melon during July to September Mid-Autumn season. 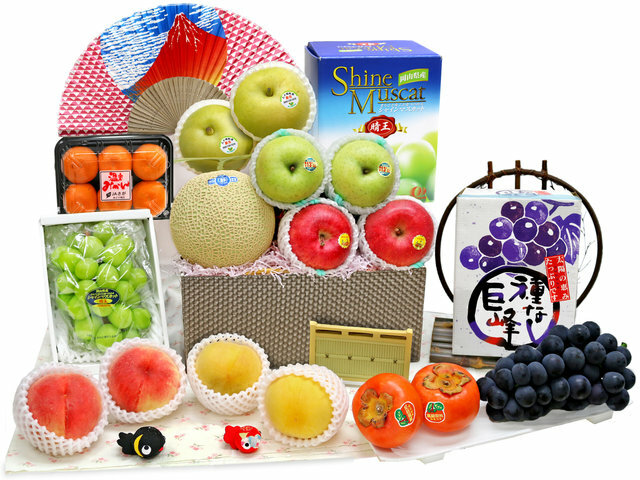 In recent years, Hong Kong started to import honeydew melon from Yubari in Japan, because of its high quality and sweetness, price can be up to a few hundred Hong Kong dollars each. This melon is also seen as a special ingredient in the Italian cuisine called honey melon ham. Mixed with sweet and salty, this summer dish is refreshing. 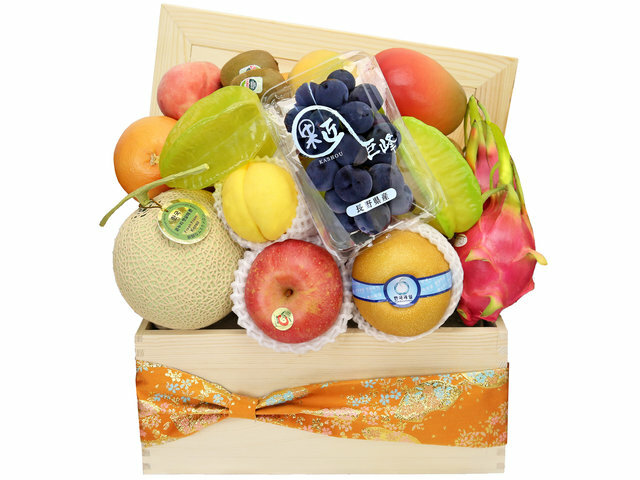 However, melon is not suitable for everyday diet, having some other fruits together is a better choice. GrapeJust one bite, the sweet and juicy feelings immediately fill your whole body, this is the magic of grapes. Grape is full of nutrition, eating grapes is beneficial for your eyes and heart, also the glucose in it can reduce tiredness. 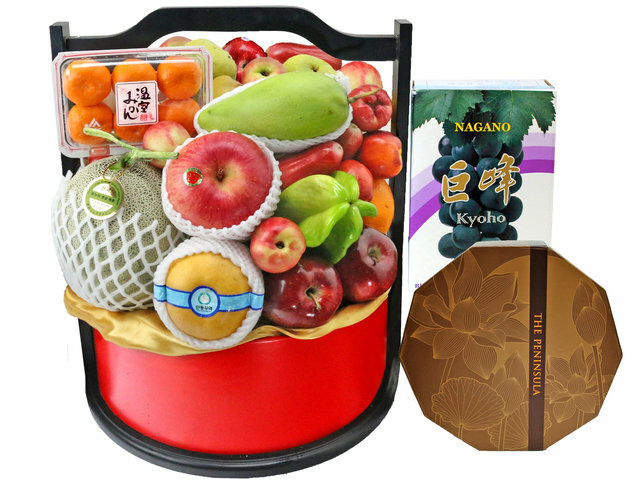 The high sweetness Kyoho grape is most welcomed in Hong Kong, especially during Mid-Autumn Festival, it is commonly seen in the market with high quality and good price. Grape is full of fructose, therefore people with high blood pressure or diabetes should eat it with more cautions. Korean PeninsulaMid-Autumn festival is the most exciting festival throughout the year in North Korean. 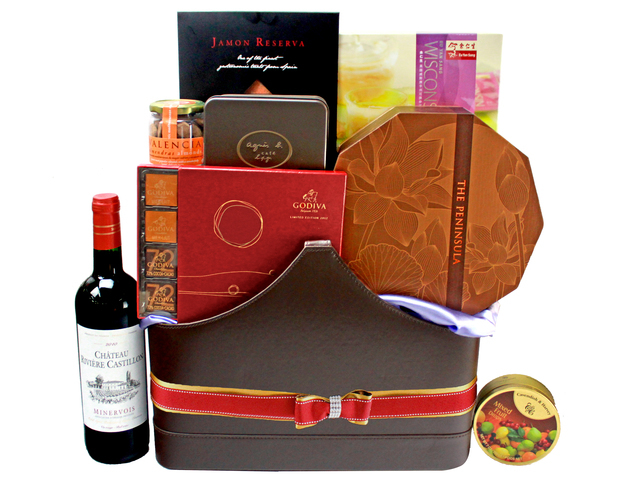 People invite their friends and families together to celebrate this special occasion. They send one another gifts as well as drinking wines. VietnamExcept all those Mid-Autumn activities mentioned before, Vietnamese have their special way to celebrate the festival. They usually float thousands of lanterns on the river and make it sparkling in the festive night. They also think of it as an act to give the blessing along with the tiny floating lantern. 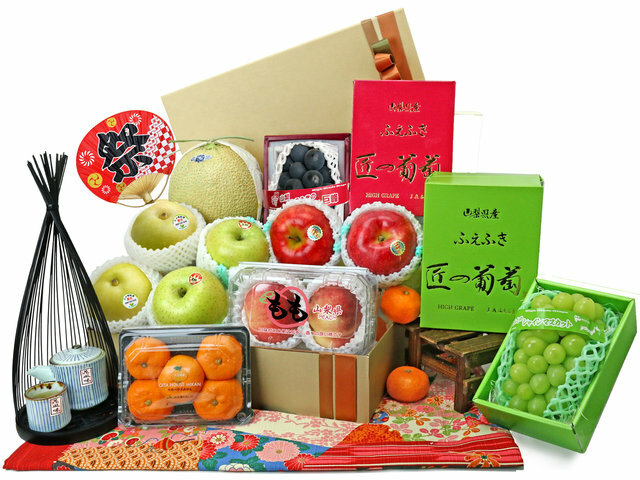 JapanInstead of mooncakes, Japanese have their own traditional Mid-Autumn Festival treat called “Dango”. This desert is made of powders of sticky rice and being in ball shape with sweets stuffed. Also, Japanese and Chinese people seem to share the similar tale of moon rabbit. PomelosAs we know, Pomelo is a must-have item in Mid-Autumn Festival, one reason is that its Chinese pronunciation has the Chinese equivalent of the word blessing. Pomelo is good for our health after a lot of seafood and meat during the festive season. It is also an important ingredient in the delicious mango pomelo sago favored by Hong Kong people. The peel of Pomelo is a useful tool to absorb the smell in the fridge as well as the material to make a Pomelo lantern. If you are taking some medicines, it’s better to consult your doctor before eating the Pomelo as it might have the influence on the medicine effect. TaroTaro, with its ordinary or someone would say unpleasant appearance, is hard to tell what a delicacy it really is beneath its wrinkle and rugged peel. Rich in carbohydrate that gives off aromatic flavor, it’s also a strange food that would make your hands itchy if not handled properly. So you’d better wear a pair of rubber gloves when peeling the Taro. Another thing for your consideration when you receive the fruit hampers is that bananas and taros cannot be eaten at the same time, or it will cause diarrhea. Chinese Mud SnailHong Kong is a unique place with nice food from around the world, no wonder people here are known as ‘food lovers’. Therefore, the tasty Chinese mud snail is not to be forgotten in this joyful Mid-Autumn Festival. It’s best to put the mud snails in the clean water for a few days before you cook them, which is to help to excrete the contamination out. Traditional Chinese doctors suggest that it’s better not to have Chinese mud snail when you catch a cold. If you don’t want to cook at home, you may try the local Hong Kong Temple Street Chinese mud snail, yummy and convenient, it will also give you a brand new street food experience. If you want some changes from the Chinese style, the French Escargots is a good choice to go with the baguette, they are easy to get in the supermarket and taste nice. Can request to switch Korean Melon with Thai Pomelo. Mailable to overseas, mainland China and Hong Kong. 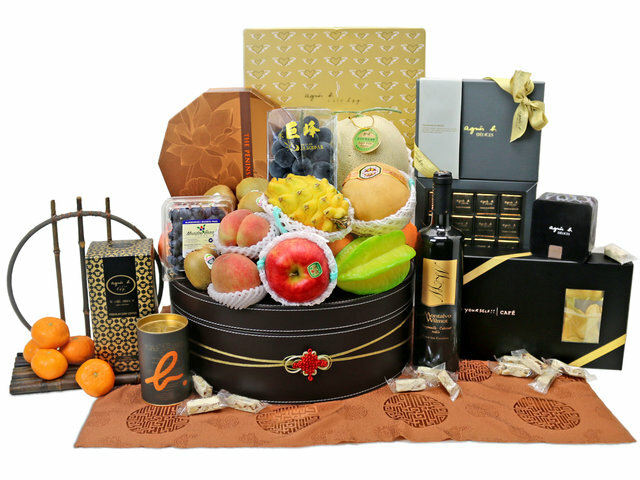 With more than 2000 choices of gourmet food gathered around the world, which include mooncakes from Peninsula Hotel, Mandarin Oriental and Maxim along with all kinds of fresh fruits and first-class wines, Give Gift Boutique is definitely your first choice to celebrate this unique Mid-Autumn Festival. 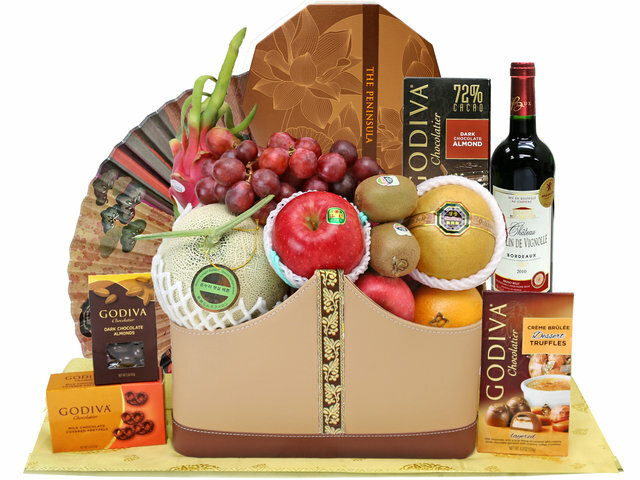 No matter personal order or corporate bulk-level order ,you will be assured of our rapid response and thoughtful gifting service.